As we edge closer and closer to the Game of Thrones cliff, it seems HBO is committed to giving us as much content as possible. Even though the series is expected to end after season eight—the crazy number of potential spin-off series notwithstanding—there’s still a lot of story left to tell. The forthcoming season will only include seven episodes, but they’re quite long. The final two episodes of the season are actually the two longest ever in the series, with the finale topping out at a whopping 81 minutes. The previous record-holder was last season’s finale, “The Winds of Winter,” at 68 minutes. So make some popcorn, remember to pee before each episode begins and settle in for several long, blustery nights in Westeros. We can hardly wait. 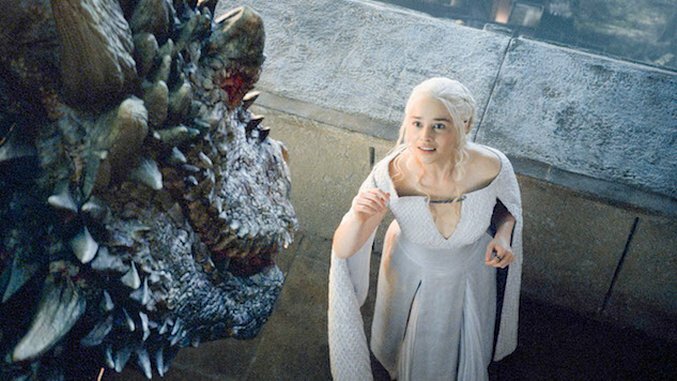 Game of Thrones returns on July 16. Find the whole season’s episode lengths below (via Watchers on the Wall).